Koper is a treasure along Slovenia’s coastline, the country’s shore is just 46 kilometers long. 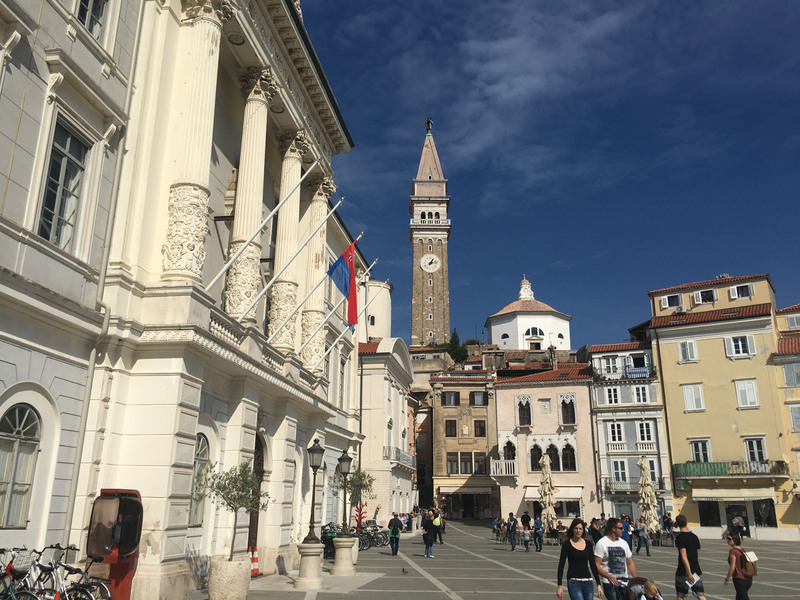 With Croatia to the south and Trieste Italy to the north, on the Dalmatian coast, Slovenia is a traveler’s diamond in the rough. The major port city of Koper is Venetian-inspired, located directly east of Venice across the Adriatic. Despite its mere 28 miles of coast, Slovenia’s wedge of waterfront is rich with beauty and history. 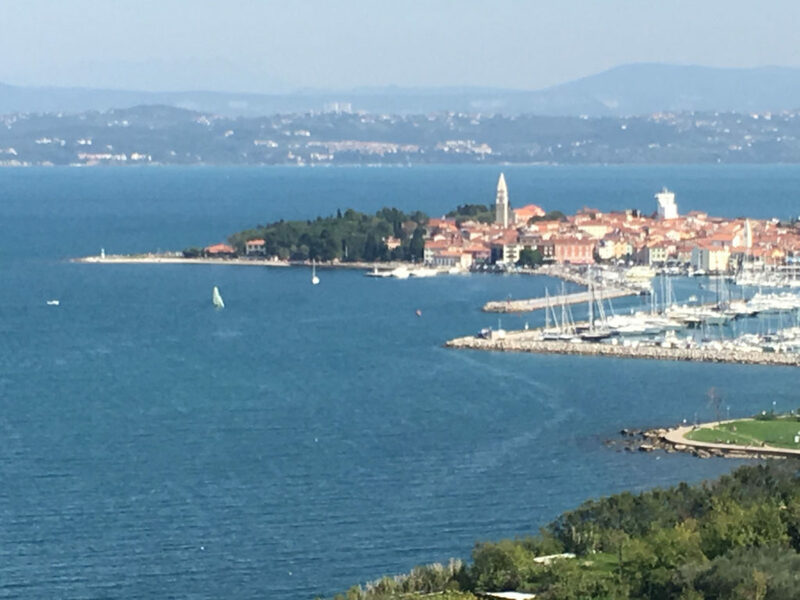 Koper is the heart of this Slovene Riviera. To best explore the Istrian region of Koper, we toured with Istranka, Ivan and Marina met us at the cruise ship dock, and lovely Marina whisked us off on a Slovenia adventure. 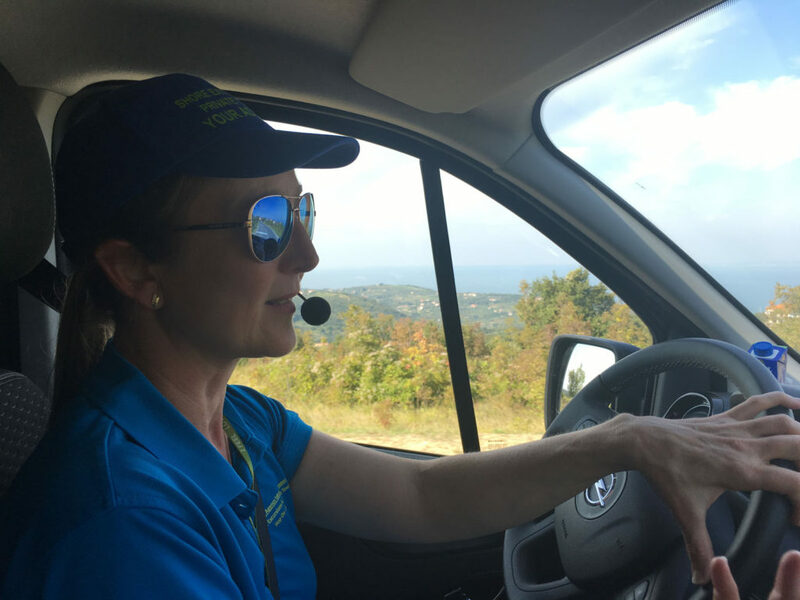 Driving into the hinterlands, Marina described Slovenia’s heritage, and declaring independence in 1991 from Yugoslavia. She described with pride how Koper is a key shipping port for luxury automobiles from Germany, Italy, and “cheaper” cars from Japan. Isola, which means island in Slovenian, came into view. 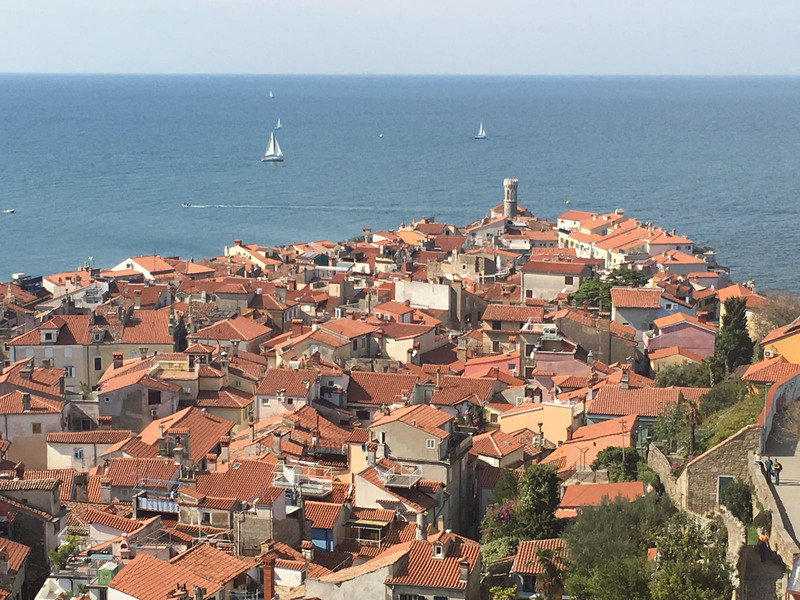 This magical old fishing village on the Istrian peninsula just south west of Koper, shines with orange-tiled rooftops, surrounded by the brilliant Adriatic blue. 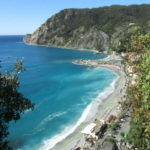 We vowed to return to this charming island – perhaps by our own luxury charter yacht next trip. Piran was our next stop, a delightful peninsula stretching out toward Croatia and The Adriatic Sea. 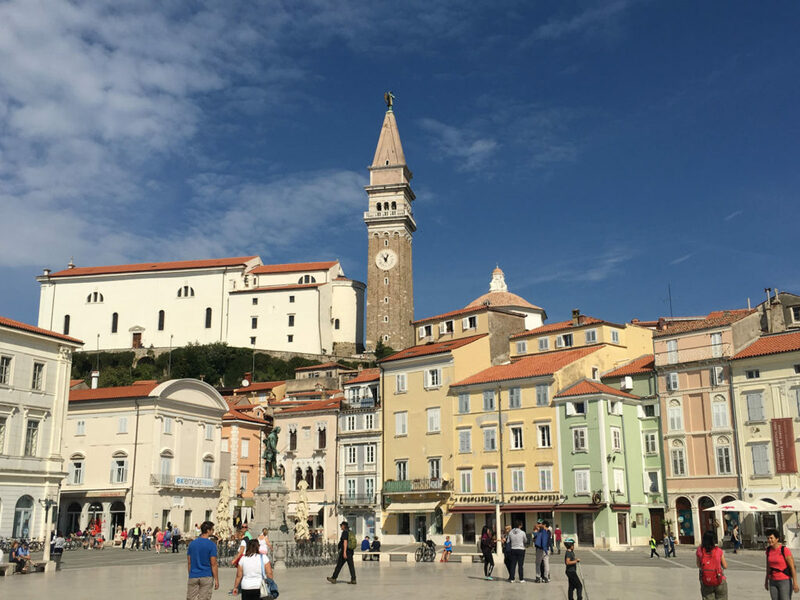 The heart of this seaside village is Tartini Square – a grand marble piazza leading to the sea, with a centerpiece statue to Giuseppe Tartini – the famous 17th century Venetian Slovenian composer. Cafes and shops line the beautiful square and local children played as we marveled at the spectacular Church of St George and the Piran city walls. 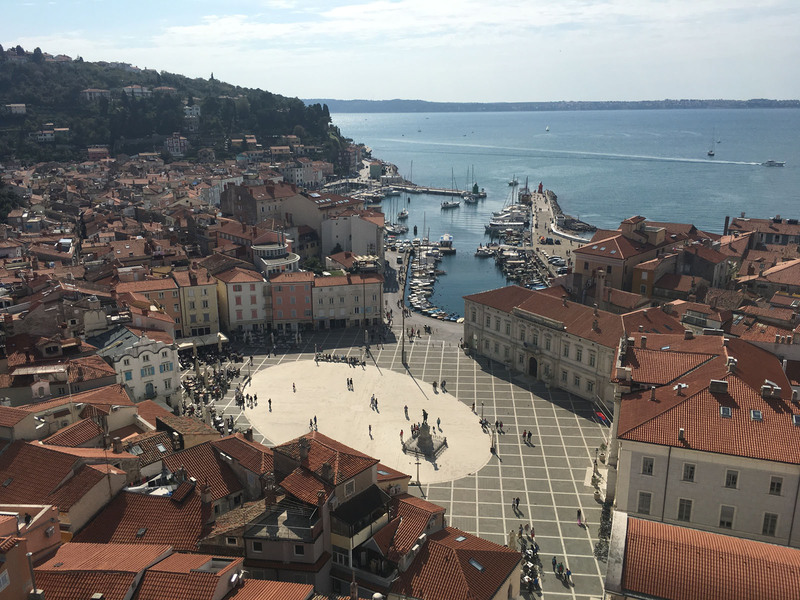 St George’s Campanile requires $1 euro and 168 steps for an amazing panorama from the Baroque clock tower over the Adriatic, the Croatian coastline and the courtyard of Piran. Wandering the narrow cobblestone streets back down to Tartini Square, we poked into tiny galleries where artists were painting, and local ladies sell their handmade lace, knits and crafts. Portorose, literally the port of roses, or Portorož, is the next seaside village. Famed for its 5-star Palace Hotel and Spa, Marina explained this spa has existed since the 1300’s offering detoxifying sea mud treatments, and superb air quality that cures asthma and ailments, as it has for centuries in this spectacular setting. 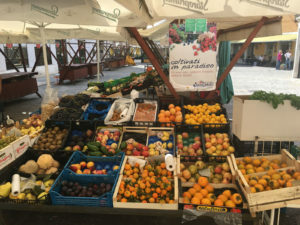 I pondered returning for the Artichoke Fest in May, and staying at the 5-star Kempinski Palace Portoroz. 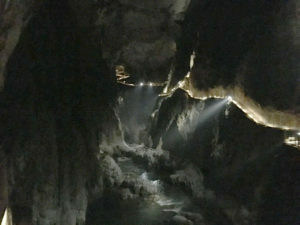 Škocjan Cave in Divaca Slovenia is lesser visited than Postojna Cave (which actually has a train inside). Our guide described there are 12,000 known caves in Slovenia, with more to discover, as we descended a long manmade tunnel down into the earth. 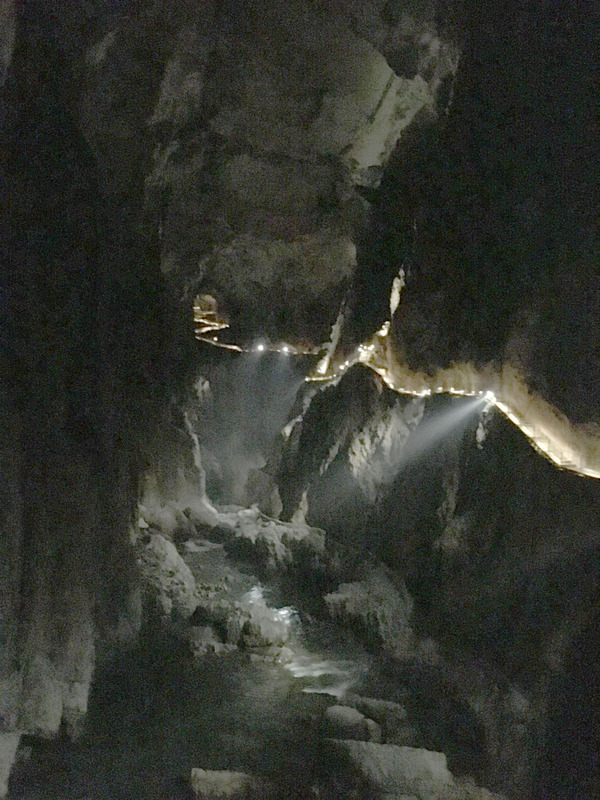 We walked for 3 kilometers, nearly two hours in the cool dank carst, into the cavernous deep hollows dripping with stalactites, stalagmites and columns that have been forming over thousands of years from underground rivers through limestone. 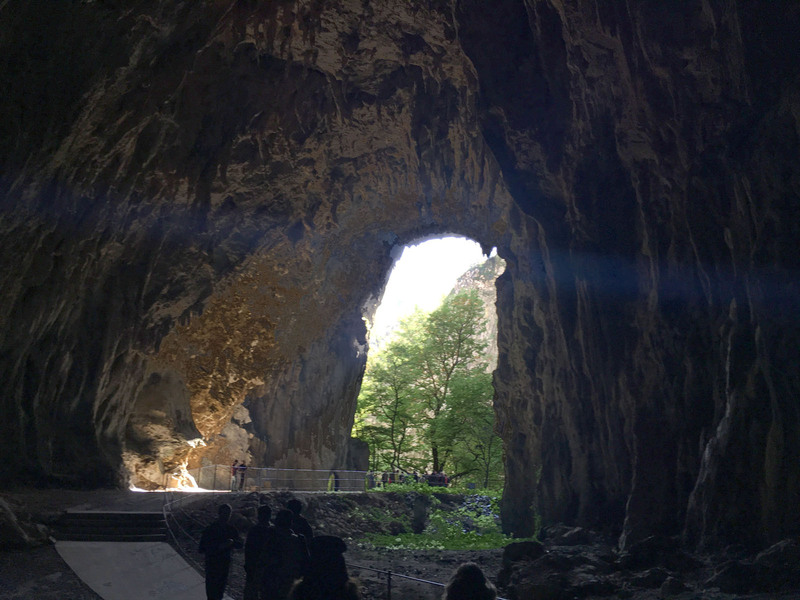 These natural caves are home to a colony of 6,000 bats and unique albino salamanders, eek! Emerging from the chilly light-deprived caves, we were happy to feel daylight, and eager to dine. A ride through the Slovenian countryside, just 4 miles from Isola and Portorose, we were transferred to another time entirely. 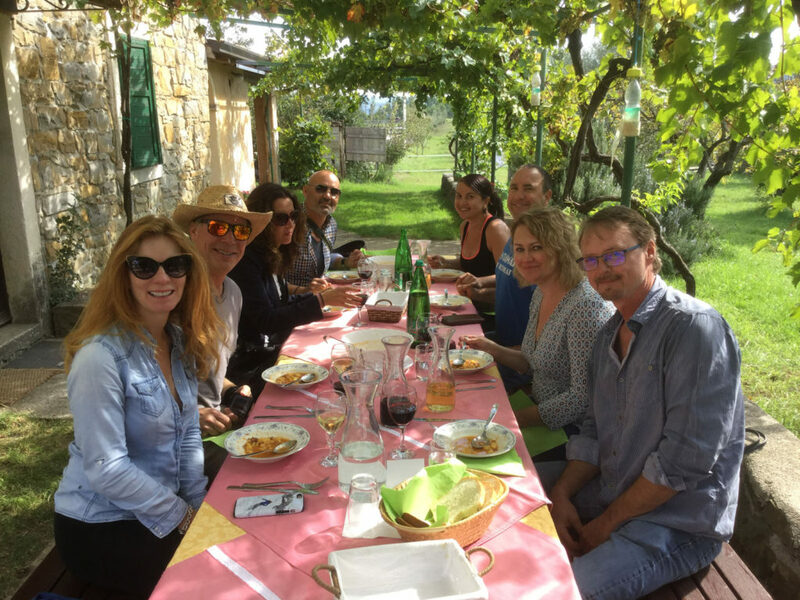 An amazing authentic lunch at Kmetija Medljan awaited us, in the Istrian countryside – our guide Marina’s family farm. We strolled the horse pastures and equestrian center, where beautiful white Lippizan horses (native to Slovenian) grazed on the hillside, among fruit, olive and almond trees. 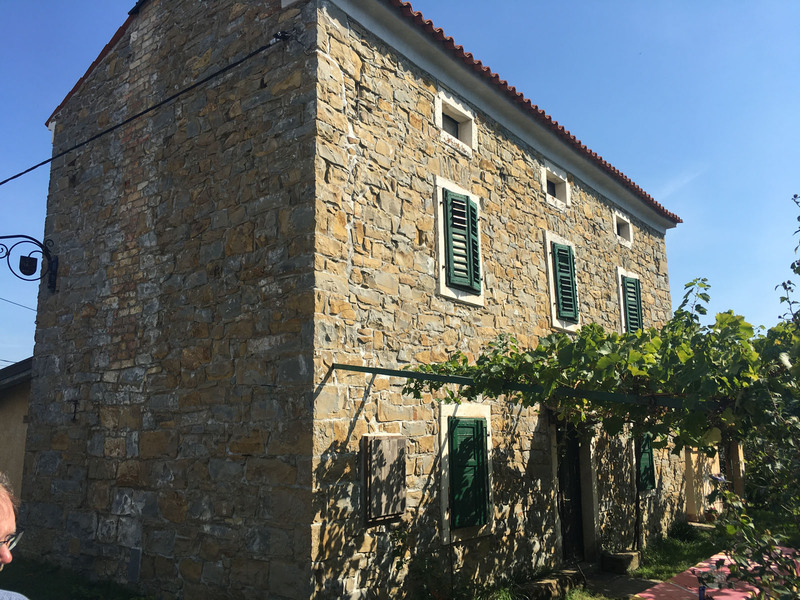 If you visit Koper, stay at this charming Medljan Farmhouse B&B, ride horses, hear the silence, relax, reflect, and feast like local Slovenian royalty. 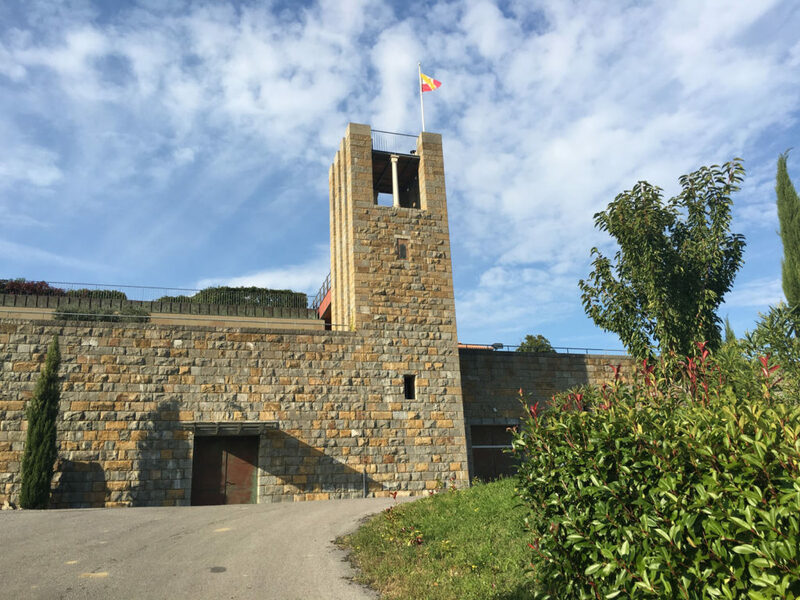 Koper is wine country, so a wine tasting at Santomas in Šmarje is a “necessity”. This hilltop Slovenian winery of 50-acres is spectacular, peaceful yet modern. Santomas wines are equally extraordinary, earning Gold medals and a 94+ score from snobby wine-critic Robert Parker. 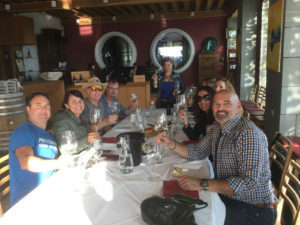 Wine harvesting was just finishing early October, and the sweet smell of crushed grapes dominated the air as we toured the cool native bluestone wine cellar lined with French barrique oak barrels. Our tasting of four Santomas vintages, Refosco to Cabernet to Rose Cashmere followed in a scenic sophisticated wine-tasting lobby. Over local cheese and cured salami and olives, we concluded by tasting the bold winner – Grande Cuvee. Cheers… “na zdravje” in Slovenian. 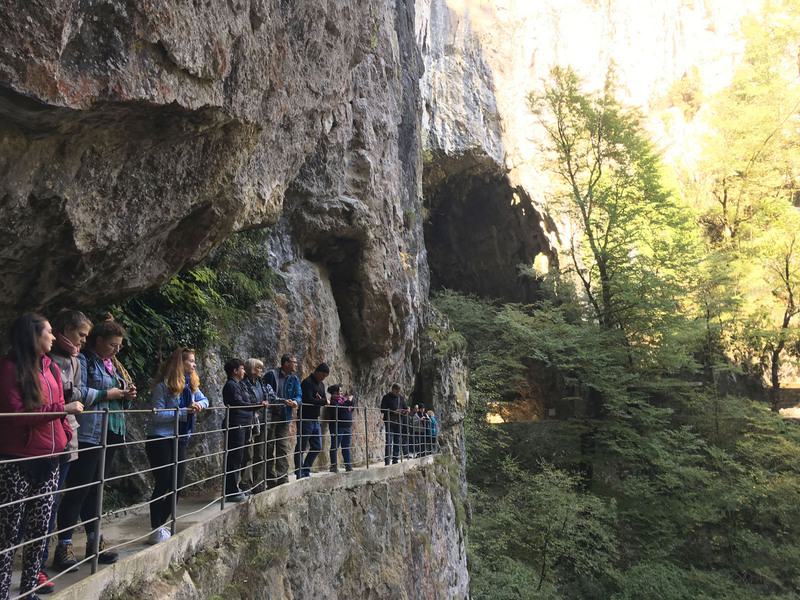 The highlight of Slovenia for me was the genuine hospitality and warmth of the people. 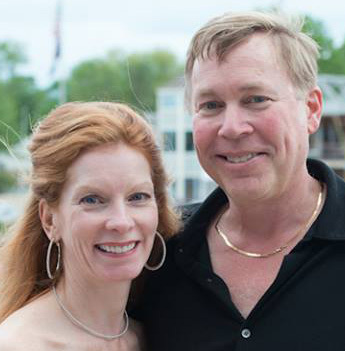 They’re proud but humble, generous but simple, kind but respectful, resilient but fun. Perhaps we will return to Slovenia, on a charter yacht, arriving in the beautiful ports of Piran, Isola, and Portorose, sailing the Adriatic to Croatia and Montenegro. From Slovenia, you can cruise south to Croatia’s Zadar, Split and Dubrovnic, and west across the Adriatic to Venice Italy.